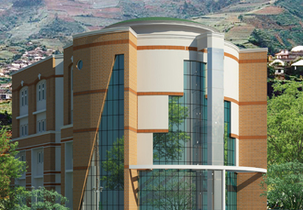 The Sri Sai University (SSU) was started with the vision of transforming the dreams of the students into reality to produce responsive human resource. The university provides quality education to the students of all the sectors at affordable rate in both professional and technical education. The mission of the university is to promote employability among the students to improve research and innovation. The university works for the betterment of physically challenged, weaker sections and welfare of women through education. The curriculum is reviewed regularly by the university since it has links with various reputed industries. The university makes efforts in improving the knowledge of lecturers by conducting various quality and skill development programs. The university provides skill and quality development program in order to help the students improve their leadership and employability skills. Bharti Airtel, Idea Cellular, IBM, Dell, Infosys Technologies, Panasonic India, Vodafone, Trident etc. are the famous recruiters who hire the students. The average salary offered to the students who are placed in top organizations in nearly around INR 3.5 LPA. The hostel has good Wi-Fi facility and sports court in order to provide source of refreshment for the students. Canteen provides good food which is hygienic and healthy and full meals at noon and night at reasonable rate. The candidates who are interested in joining the B.Tech courses offered in the university have to clear the JEE Main and LEET exam conducted every year. 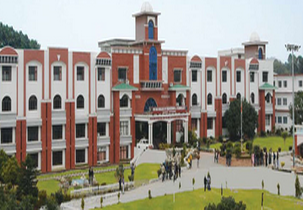 To mold the students in right way the college has provided amazing library and the college campus is very beautiful with good environment, well maintained labs and infrastructure. Hostel facilities have been provided to the students with all the necessary facilities like food which is very hygienic, playing area, etc., Well experienced, high qualified faculty members are available at our college and they are very helping towards the students. Every year alumni meetings are arranged. Are you Interested in " Sri Sai University"? Please provide the following details.